Ida B. ChoAzz, a roller derby player in Spokane, Washington, made good on her nickname this week when she ran down a purse snatcher through oncoming traffic. 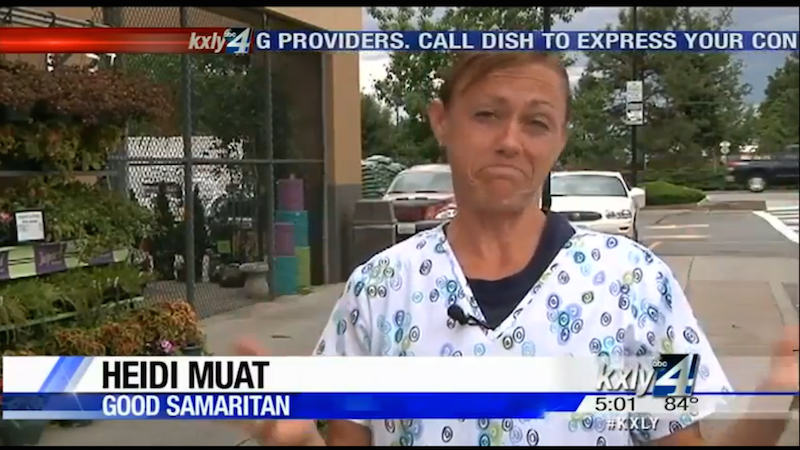 Forty-two-year-old ChoAzz, also known as Heidi Muat, saw a man running out of a grocery store with another woman’s bag and gave chase on Wednesday, according to KXLY-4. They even ran onto a crowded four lane freeway but Muat stayed on the thief through the cars until he just… gave up. “He looked and saw he had nowhere to go other than running, and I said, ‘I can outrun you. Give it up.’ And he just looked at me and tossed the purse,” she said. The police, having had their job done for them, arrested the purse snatcher Ronald Warner after Muat not only caught him but also put in a call to her friend, Officer Teresa Fuller. Is Heidi getting a check for her freelance cop work, because she should. Ida B. ChoAzz, doing the Spokannibals roller derby league proud.